Come see one of Edgewater's finest homes at the La Playa Condo. 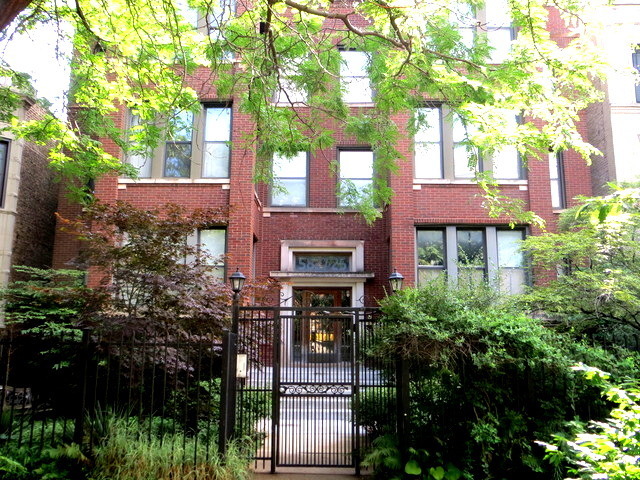 Elegant 1st floor duplex is in a 1920's 6-Flat building with easy access to Osterman Beach, Lake Michigan path, CTA Bus/Thorndale Redline stop, Chicago Public Library, LSD, Bryn Mawr/Broadway shopping districts which include a Whole Foods and more! This 3 bedroom, 2.5 bath has hard wood floors, high ceilings, a sun room and a wood burning fireplace. All bathrooms recently updated. Kitchen with granite counters, stainless steel appliances, wood cabinets, double bowl sink, dishwasher, microwave and in unit front loading washer & dryer. Outside features private deck, resident green space/garden and indoor one car garage space. Lower level has 1 bedroom, rec room, closets and BRAND NEW full bath. Steps from George B. Swift Elementary School. Neighborhood charm and the cozy atmosphere of this unit make this a one of a kind property!